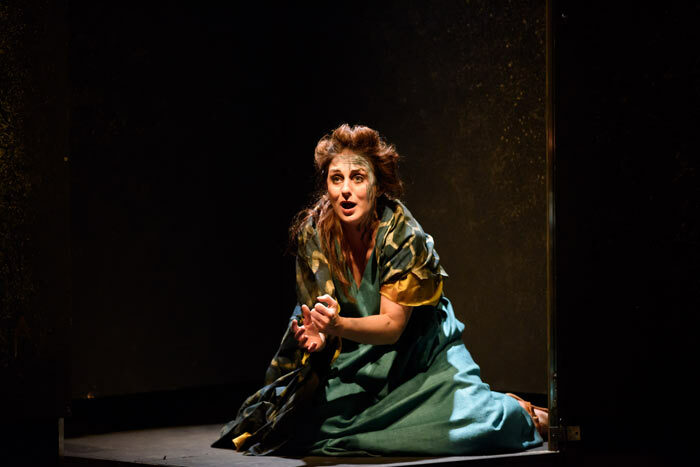 English Touring Opera added to their repertoire of lesser known Donizetti operas with this production of Pia De' Tolomei. Written in 1836, it went through the usual delays and internal politics that beset so many of Donizetti's operas before being given in 1837 in Venice to a libretto by Salvadore Cammarano based on Dante. It met with mediocre success but went on to be given at other opera houses resulting in a number of alternative scores (including a happy ending for Naples) from which ETO developed their version. It was set in a period of strife between the Guelphs and Ghibellines, which had continued despite the marriage of Pia from the leading Guelph family to Nello, leader of the Ghibellines. However, much of the plot revolves around the lust that Nello's relative, Ghino, has for Pia and his rage when he is refused. He uses a secret meeting between Pia and her brother, Rodrigo, to convince Nello of her unfaithfulness. Eventually, seeing the error of his ways, he confesses to Nello but is too late to prevent Nello's plan to poison her. However, although dying she manages to get Rodrigo and Nello and their factions to make peace. 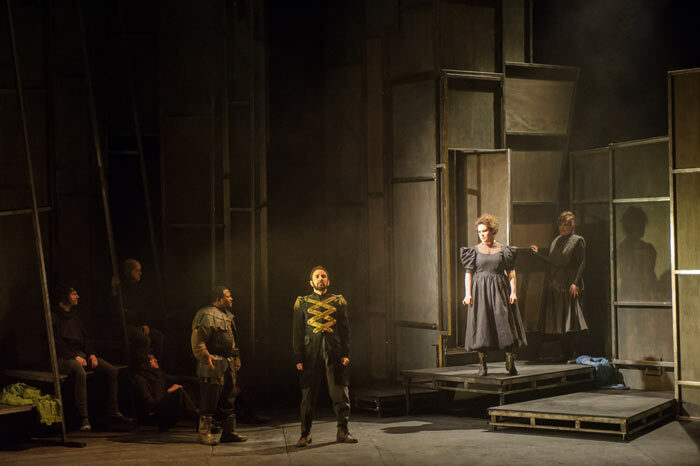 Possibly because the production was only being given 7 times with little possibility of a future revival, the staging was minimal and appeared to be the reverse of the flats for one of the other productions. 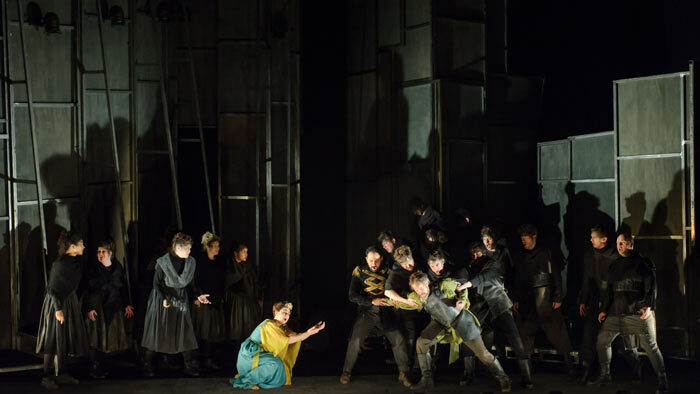 It was functional in providing several levels and entrances but rather dispiriting, which was a pity because the performance was an excellent ensemble effort under John Andrews, who had clearly studied the work in detail in preparing the ETO version. 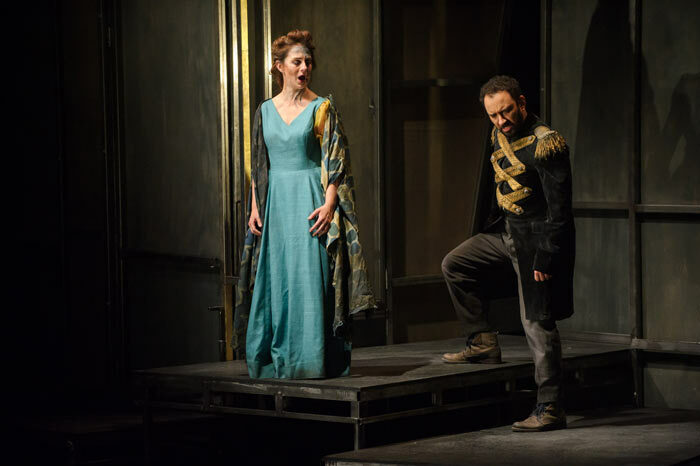 Of the singers, I was most impressed by Grant Doyle while Luciano Botelho grew on me as the evening went on and his duet with Pia, in which she convinces him to repent of his evil schemes, was probably the highlight. I was a little disappointed with Elena Xanthoudakis who, despite her growing reputation, was a little too tentative at times with high notes not securely nailed to get the best out of the part. However, overall it was a rewarding evening and showed, yet again, that even second drawer Donizetti has much to offer. I too enjoyed ETO’s Pia De’Tolomei, and hold the opera in slightly higher esteem than Russell. For me it is very nearly top-drawer Donizetti. 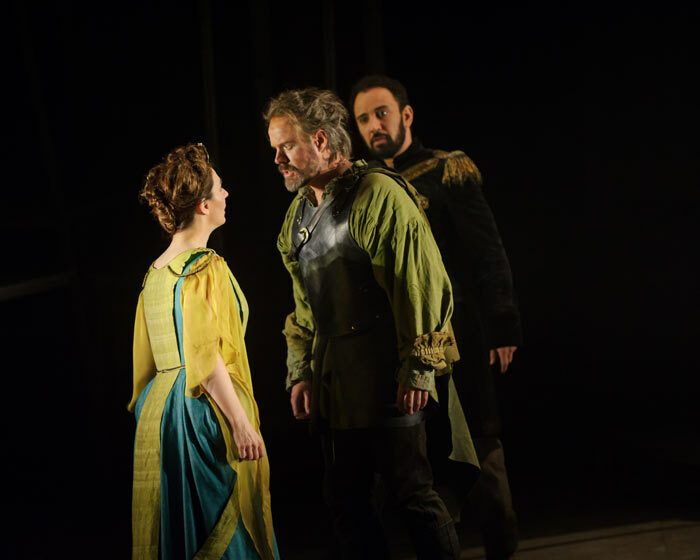 The Nello/Ghino relationship came over clearly as proto Otello/Iago, with Grant Doyle vividly expressing Nello’s jealousy and eventual remorse. He was the only singer whose tonal bloom sounded unaffected by the dry acoustic of The Arts Theatre, Cambridge, though this aided the singers’ diction which rendered the surtitles frequently redundant. Elena Xanthoudakis made for a sympathetic Pia. While wishing for a warmer timbre I still admired her performance, appreciating her moulding of Donizetti’s lyrical lines and the clarity and accuracy of her downward scales – and she was nailing her top notes securely on this occasion. I wasn’t so taken by the Ghino of Luciano Botelho, whose voice seemed to tighten and dry out above the stave. As I had seen and heard good reports previously I wondered if he was in full health. John Andrews conducted a committed and urgent performance. 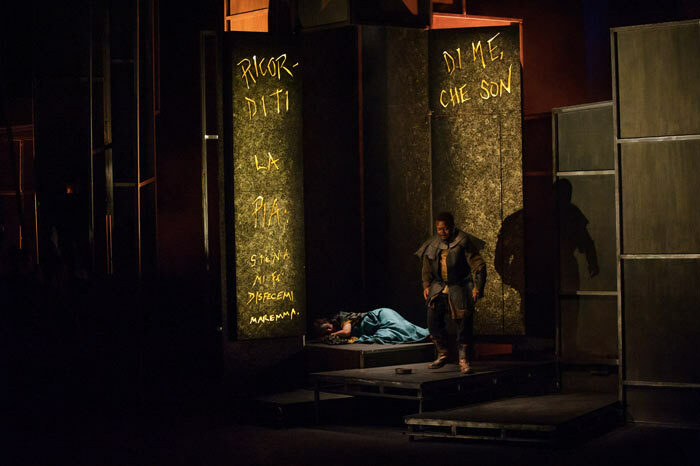 I would have welcomed a little less urgency in places such as the Pia/Rodrigo duet in the Act I finale and in Ghino’s death scene where the tempo and lack of tenorial refulgence masked the fact that this can be one of the most achingly beautiful two minutes in all Donizetti. But in general, Andrews’ commitment to the score came across strongly. Smaller parts were more than adequately taken. Catherine Carby (Rodrigo) was good enough to make me regret that her second aria was cut, though I should add that John Andrews writes convincingly about the editorial decisions involved in making a performing version from the various scores that Donizetti left. 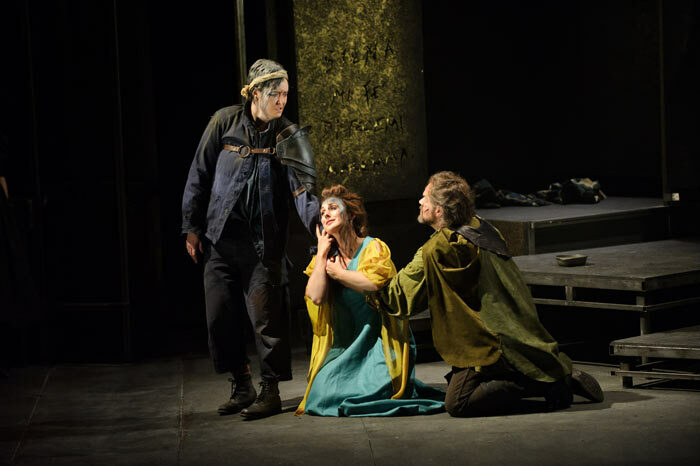 James Conway’s direction told the story clearly and obtained good acting from the whole cast – the top two requirements of an opera director in my book. The set, the backs of the flats from ETO’s Don Giovanni (also touring) looked as though it was there to save money, but no matter, the action was clear. 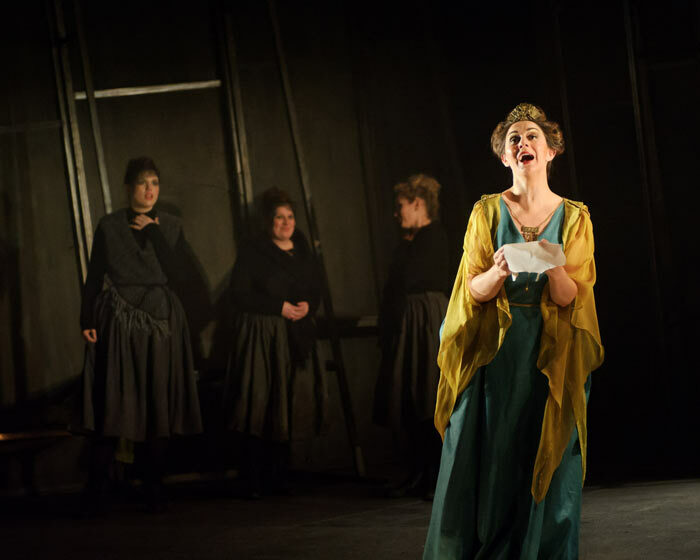 All in all, a creditable achievement that trusted the composer, its honesty all the more welcome coming after seeing Covent Garden’s new Lucia the evening before. Again, we owe English Touring Opera our gratitude for their continuing championing of Donizetti’s lesser known works. On February 26, 1978, the Donizetti Society part sponsored a concert performance of Donizetti's Pia De'Tolomei at the Queen Elizabeth's Hall, a CD of which was distributed to members last year. One of our members has kindly provided an image of the opening pages of the programme including autographs of 6 of the participants. Also included are an article on the opera, a synopsis and the biographies of the performers. See here.